An obsolete head can be replaced without discarding a serviceable machine base. This brings the benefits of the latest technology which improves weight accuracy.Cleaning and maintenance times are reduced, and product changeovers achieved in minutes. A TruClean™ Aftermarket Wirecut Head brings sanitation benefits on parts in contact with the product. It minimizes accumulation of debris, and the head can be removed for cleaning. 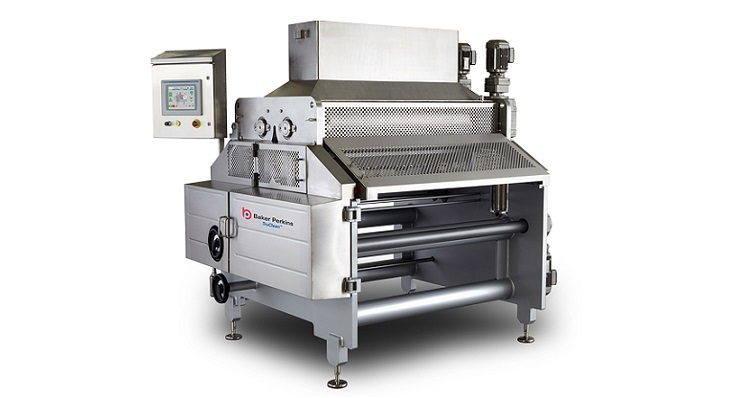 This reduces cross-contamination risk compared to conventional machines. 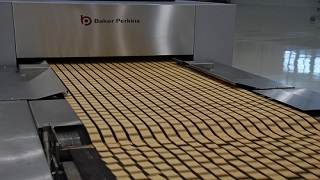 Filled cookies can be produced on a standard wirecut machine using an optional encapsulation module and iris cutter. 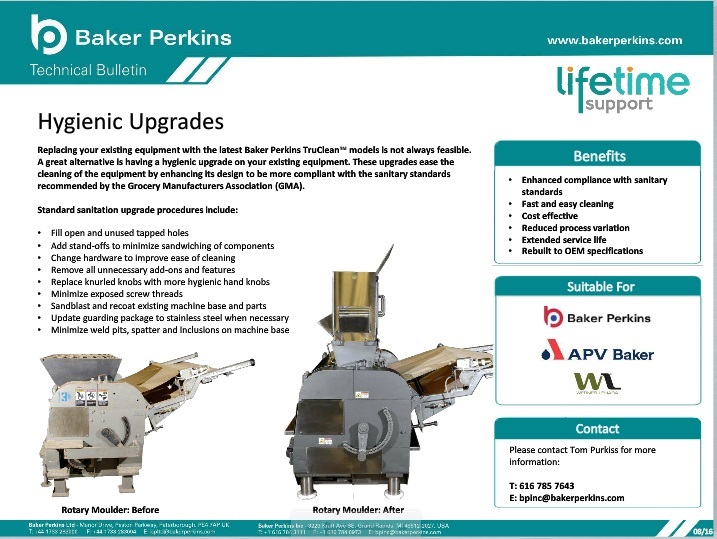 Baker Perkins’ encapsulation system can be fitted to any wirecut to convert the machine from a standard unit to one that can do both cookies and encapsulated cookies. A simple rotary servo wirecut assembly that replaces the complex mechanical design and provides increased flexibility. The traditional mechanical wirecut system, with its many manual adjustments, can be replaced by a unique dual servo system with minimal parts. Faster changeovers, lower waste and minimal giveaway along with easier cleaning reduces operating costs; fewer moving parts and easy removal of components means maintenance costs are also reduced. 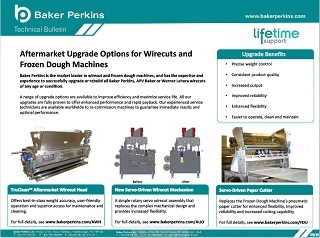 A two-axis servo system provides infinite variability to the cutting and return paths, enabling optimum cutting performance at high speeds or on difficult dough. The new Servo Wirecut mechanism is compatible with all existing Baker Perkins filler blocks and dies. This feature improves product placement on the band. When the wire is cutting through the dough, there is a tendency for dough to be thrown forward, particularly if the wire strikes inclusions. This problem limits operating speeds and prevents optimal row spacing. The dynamic band raise mechanism lifts the band to meet the dough as it is extruded. This guarantees the dough’s position and allows for optimal row spacing and higher throughput. Replacing the fixed wire or blade as the cutting medium with an oscillating knife blade improves weight control and product placement for products with large inclusions, like gourmet cookies. A standard wire set-up displaces rather than cuts through large inclusions, resulting in uneven dispersion of the inclusions and distortion of the cookie. This adversely affects weight control, and product appearance. An oscillating knife cuts the product much more effectively, especially products with large inclusions. Full PLC control with touch-screen and graphical interface can improve operation and reduce costs through recipe control, visualization, trending and alarm features. 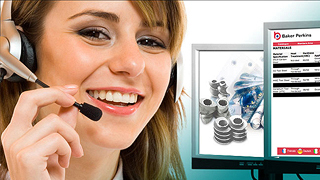 The graphical interface allows operators to see readily from a single point what is happening on the machine. Settings for each product are stored in the PLC. Electrically operated adjustments are carried out automatically while manual adjustments are displayed for setting by the operator. This ensures that every product run starts with optimum settings for rapid start up and high quality. Automatic alarms inform the operator of fault category and location to facilitate a quicker repair. An alarm history feature enables maintenance personnel to identify persistent problems. Allows changes in product characteristics to be traced to adjustment in process parameters so the cause can be identified and fixed. The machine controls can easily be integrated with higher SCADA and other supervisory line control systems for machine control, monitoring and data capture purposes. Replacing an obsolete mechanical variable speed drive with a new inverter duty gearmotor and variable frequency drive enhances weight control by improving speed holding accuracy from between 2-4% to +/-0.1%. These are easier to maintain, and enhance weight accuracy by improved speed holding accuracy. A VFD can cost less than replacing an obsolete mechanical drive. The benefits of installing a new TruClean™ Wirecut head depend on maintaining accurate feed roll and cutting speeds. fewer moving parts. Parts that do need replacing are easily accessible and there is a simple, sealed gearbox.